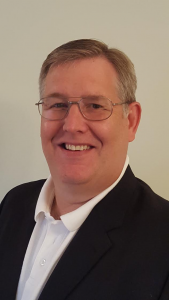 Reading: AlphaPoint Appoints Scott Scalf To Firm! AlphaPoint is proud to announce that Scott Scalf will be joining the AlphaPoint Executive Team. Scalf, formerly Director of Trade Lifecycle Systems at Deutsche Bank Global Technology, will be joining the company as Executive Vice President of Development Operations. Bitcoinist.net is not responsible for AlphaPoint and its goods and/or services. AlphaPoint is a financial technology company that lies at the core of over 20 digital asset exchanges and provides institutions blockchain-enabled solutions to store, track, and trade digital assets. With a platform that can handle up to 1 million transactions per second, AlphaPoint is a name well known across five continents. AlphaPoint is a financial technology company that powers digital asset exchanges and provides institutions blockchain-enabled solutions to store, track, and trade digital assets. Its secure, scalable, and customizable platform can process nearly 1 million transactions per second, enabling customers to innovate, differentiate, and transform their businesses. As the world’s leading white label exchange provider, AlphaPoint powers over 20 digital asset exchanges on 5 continents, and is led by a seasoned team with 50+ years in financial technology. AlphaPoint has offices in New York City, Philadelphia, and San Francisco.